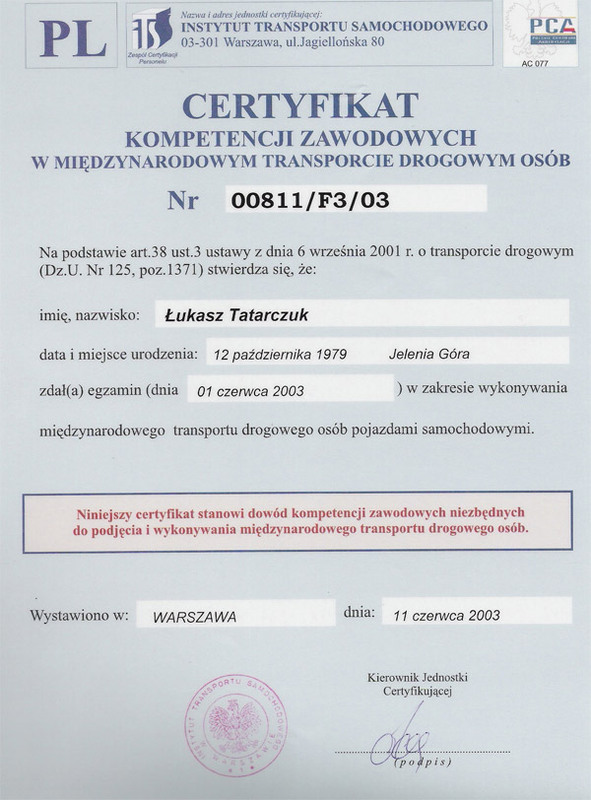 Tatarczuk’s passenger transport was set up in July in 2003 on national and international routes. Our developing company is vested with special powers. We care about the safety of our passengers and driving comfort. The company’s cars are adapted for long journeys. We also bear in mind our passengers’ different viewpoints and wishes. 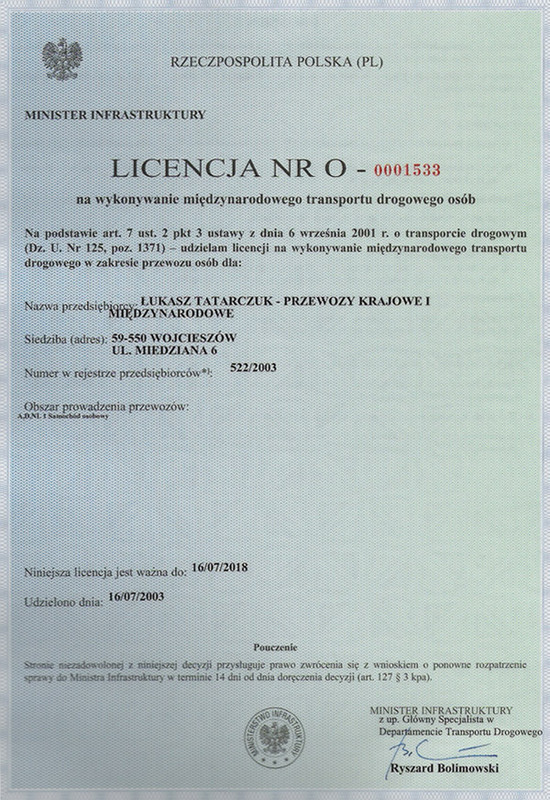 The company employs qualified drivers. Its services are cheap, reliable and punctual.